Playing with Grandpa while big sister got her shot. Letting the Versed kick in and waiting for the injection. Eloise had been dreading the Botox shot for days. Although she has come a long way in her trust for doctors she still has an intense fear of needles. Thankfully, shortly after we arrived the nurses gave her some Versed which made her slightly loopy and drowsy. She was acting so funny and saying hilarious things. 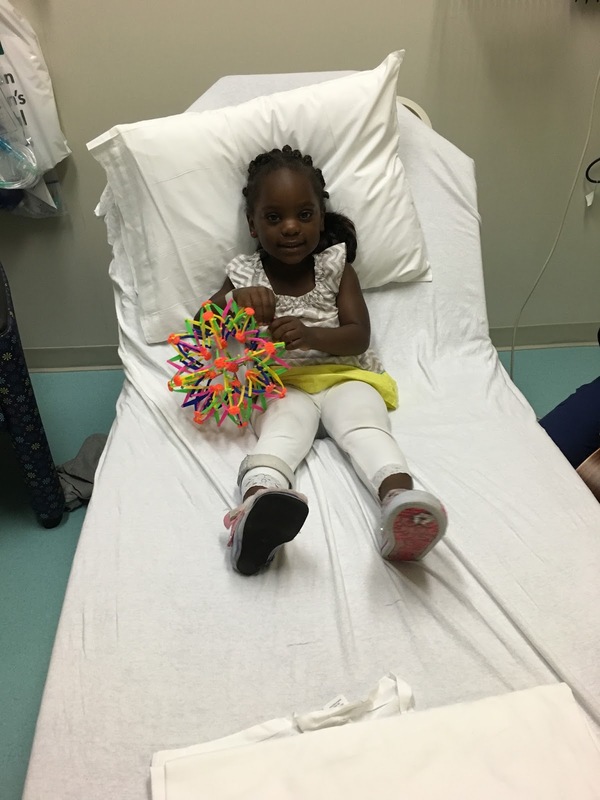 She kept trying to get out of the hospital bed but we were able to distract her with toys and games. Also, an amazing music therapist on staff at the hospital came in with her guitar and sang songs and played games with Eloise to distract her. Between the music lady and the Versed, Ellie didn’t even realize she had gotten the injection! The doctor was quick and, with the numbing cream she rubbed on before hand, the injection was pretty painless. Praise the Lord! 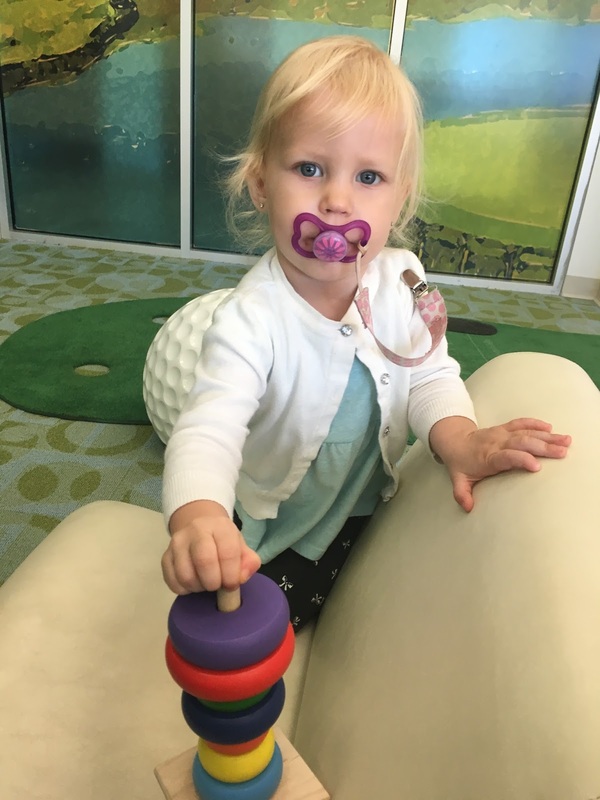 The songs and toys helped Eloise forget why she was in the the hospital. Now we wait and see if the Botox does anything to help her foot. Her weekly physical therapy will continue and the hope is that the relaxed muscles in her leg will now allow for greater range during her sessions which could lead to more permanent change. If the Botox seems to help it could become a procedure that she gets done every 3-6 months. I was dreading the thought of that but now I don’t mind if that’s the case because it went much better than I could have ever expected! Thank you, Jesus!